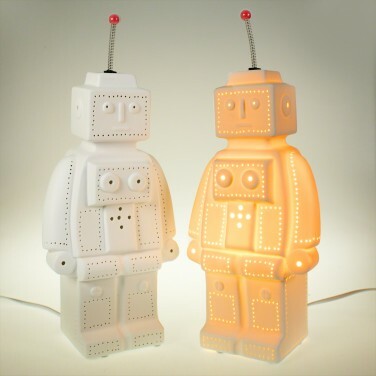 With his boxy body and pin hole features, this adorable porcelain robot lamp is a stunning addition to your kids room. 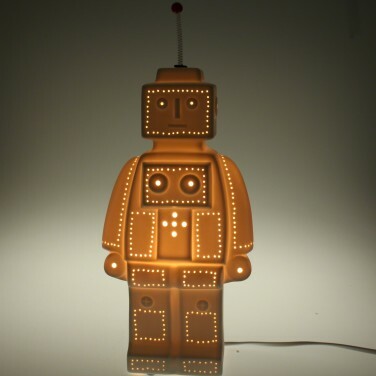 The detailed perforation design is illuminated when lit casting a comforting glow to reassure kids at night. 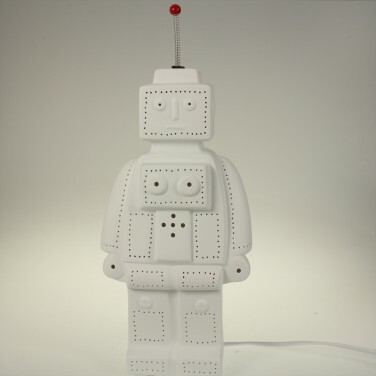 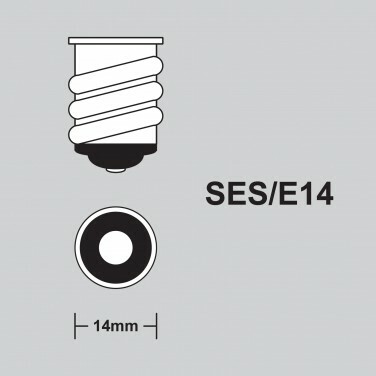 Made from matt white porcelain for a contemporary feel, this adorable character is mains operated and has an inline switch making him easy for small hands to turn on and off again.